This rich and creamy dessert is packed with fresh flavor! 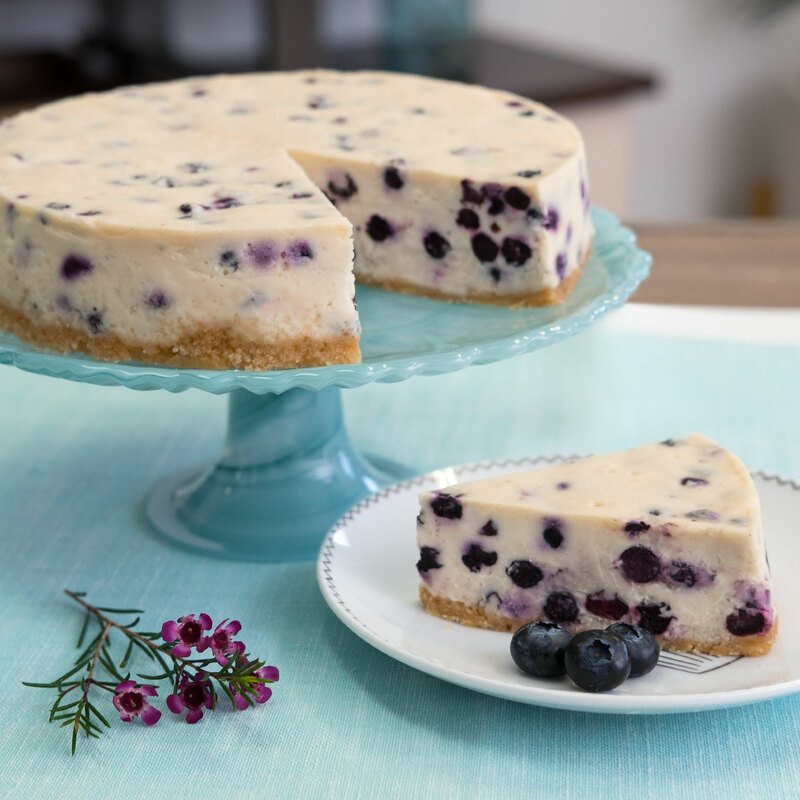 Plump, juicy blueberries are mixed together with velvety cheesecake atop a vanilla all-butter cookie crust. Makes a beautiful centerpiece on any dessert table, or a thoughtful gift for a cheesecake lover. Ships frozen.